I l___ i___ h___ . コーヒーを使う？ – I could use a cup of coffee. 気に入ってくれると嬉しい - I hope you like it. 風邪ひいたかも。 - I think I'm coming down with a cold. 後でLINEするね。 - I'll LINE you later. 英語できますか？ - Do you speak English? 自制心 - I can’t control myself! あんたのおかげで人生台無し - You ruined my life! 何様のつもり? - Get over yourself. ♪Get over it! - いつまでもクヨクヨしない! ちょっといい? - You got a minute? ほんとにうんざり - I’m really fed up with this. 不幸中の幸い - It could have been worse. すればするほど - The more you practice, the better you get. マスターカードは使えますか？ - Do you take Mastercard? 30℃超え - It's already over 30 degrees. うだるような暑さだ！ - It’s boiling hot! 今晩は徹夜 - I'll be burning the midnight oil tonight. 一番安上がりなのはどれ？ - Which one costs the least? 10分ってとこじゃない？ - I would say 10 minutes. 一口ちょーだい - Can I have a bite? ♪The answer is YACHT! - 答えはYACHTです! やっと会えたね。 - Nice to finally meet you! こんなもんでしょ。 - What do you expect? 自分を信じて！ - Believe in yourself! 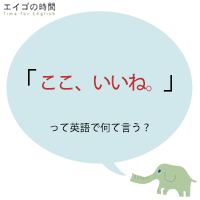 遅刻 - He failed to arrive in time. 来なかった - He didn’t show up! 元気？ - How are things? どちらかといえば犬派 - I'm more of a dog person. 事前に知らせて - Let me know ahead of time. 人付き合いが苦手 - He doesn't mix well. 私の番 - It's my turn. それじゃあまるで… - It's like putting the cart before the horse. すみませんが、人が来るんです。 - Sorry, it's taken. 電話借りてもいい？ - Do you mind if I use your phone? 八十の手習い - It's never too late to learn. 久しぶり - It's been a while. 暑さを表現する - It's scorching hot! また君か！ - Not you again! 本降り - It's really coming down. 会社が楽しい? - I enjoyed your company. 意志あるところに道は開ける - Where there's a will, there's a way. 今日は早めに上がりたい。 - I want to get off work early today. イマイチよく分からない。 - I don't quite get it. うまくいってる？ - How is it coming along? よかったね！- I'm happy for you! あなたのおかげでとってもハッピー！ - You made my day! 私も（一般動詞編） - So do I. 私も（be動詞編） - So am I. がんばれ！ - Hang in there! 少しも納得していない - I'm by no means convinced. やれやれ、やっと金曜日だ。 - Thank God it's Friday. お待ちしておりました。 - We've been expecting you. 何でだろう？ - I wonder why. だいじょうぶ？ - Is everything OK? 故障する - Something goes wrong. お金返して。 - I want my money back. 砂糖の代わりに蜂蜜 - You can use honey instead of sugar. 別れてくれ。 - I need my space. よくやった！ - We're so proud of you! 一読の価値あり - The book is worth reading. 英語で「長針・短針」は何と言う？ - They are not "needles". 悪いけど… - I'd rather not. 降れば土砂降り - When it rains, it pours. ニトスキって知ってる？ - Have you heard of Nitosuki? あるべき場所 - Put it back where it belongs. これ、知ってる？ - Are you familiar with this? 時間大丈夫？ - Are you OK for time? まったく同感。 - I couldn't agree more. そうなの？ - Oh, you do? ～はどうだった？ - How was ...? できればやめて。 - I'd rather you didn't. ちょっといやかも。 - I'd rather not. すごい。消えた！ - Wow…. It's gone! ホテルはどこだ？ - Where did Junko stay? 検討する - He is considering buying a used car. 後回し - That can wait. あんまり好きじゃない - I'm not too crazy about ramen. まだ終わってない - I'm still working on it. 浮かない顔 - Why the long face? Let meの使い方 - Let me help you. ママ、誰か来たよ。 - Mom, someone is at the door. どう？似合う？ - How do I look? 勘違い - You must be mistaken. すごく好きなわけじゃない - I'm not a big fan of sweets. させる、される、してもらう - I had my hair cut. byとuntilの違い - by or until? コーヒーを使う？ - I could use a cup of coffee. それは関係ありません - That's not relevant. これって何するもの？ - What's it for? 赤が似合うね - You look good in red. 勘定は部屋に付けてください - Charge it to my room, please. anotherとotherとothersの違い - What's the difference between another, other, and others? なかなか眠れない - I have trouble sleeping. ｢今年の目標｣を英語で立てよう - What's your new year's resolution? Dog people vs. Cat people --- 犬派?猫派? But I didn't! --- でも大丈夫だったでしょ? What is your favorite food? --- 好きな食べ物は? She has a thing about dirt. --- エルサは潔癖症? How about that! --- すごいね! Hang in there! --- 踏んばれ! Brush up on your English! --- 英語力アップのチャンスかも? What's eating you? --- どうしたの? May I borrow your car? --- 車貸してくれる? Do you leave the door open when… --- ドアは開けたまま? Be careful not to spill it! --- こぼさないように気をつけて! What about yours? --- あなたのは? Can you describe a table? --- テーブルってどんなもの? Would Thursday work for you? --- 木曜日はどう? I can't make it home for dinner! --- 夕ご飯までに帰れない! How many times do I have to tell you? --- 何度言えば分かるんだ? How many times a week? --- 週に何回? Are you on Facebook? --- なんて答える?? Are you on Facebook? --- フェイスブックやってる? Do you hear me? --- ねえ、聞いてるの? Are we on the same page? --- 分かってる? That's about it. --- ま、そんなところ? know a thing or two --- ひとつふたつ知っている? three times smaller --- 3倍小さい? Have you ever heard of it? --- 聞いたことある? Where have you been? --- どこ行ってたの? Let's go see a movie! --- 映画を見に行こう! What do you think? --- どう思う? In a minute! --- すぐに行くってば! What do you think about taking a break? --- 休暇を取るってのはどうだい? I can't stand him! --- ヤツには我慢ならない! What's for dinner? --- 晩御飯は何かな? Good luck with your job search! --- 就職活動がんばって! When am I eligible? --- いつ対象になりますか? Am I eligible? --- 受けられますか? What's the point? --- そんなことしてどうなるの? Don't be taken in! --- 真に受けないで! I'm happy for you! --- よかったね! We're rooting for you! --- ガンバレ! It's a long story. --- 長い話? I had a long day. --- 長い一日? What are you getting at? --- 何が言いたいの? Don't patronize me! --- なめるなよ! Hook me up with someone! --- 誰かイイ人紹介して! What do you do for work? --- あなたのお仕事は? I wash my hands of it --- 手を洗う? hold your tongue --- お黙り! off the wall --- ボールの行方? think outside the box --- 箱の外で考える?? Can you follow? --- 分かる? He's not going to like it. --- 叱られる? I couldn't care less! --- そんなの関係ねぇ! Face the music --- 逃げるな! Are you ready to let go of your smoking habit? --- 禁煙する覚悟はできた? It's not fair! --- ズルイ! Are you seeing anybody? --- カレシでもできた? One-five or five-zero? --- 15それとも50? Give it a shot! --- 挑戦してみてね! What's your new year's resolution? --- 今年の目標は? copyright 2005-2016 junko & kaori. all rights reserved.